Kevin, Rachel, Kate & Madison showing off their awards. 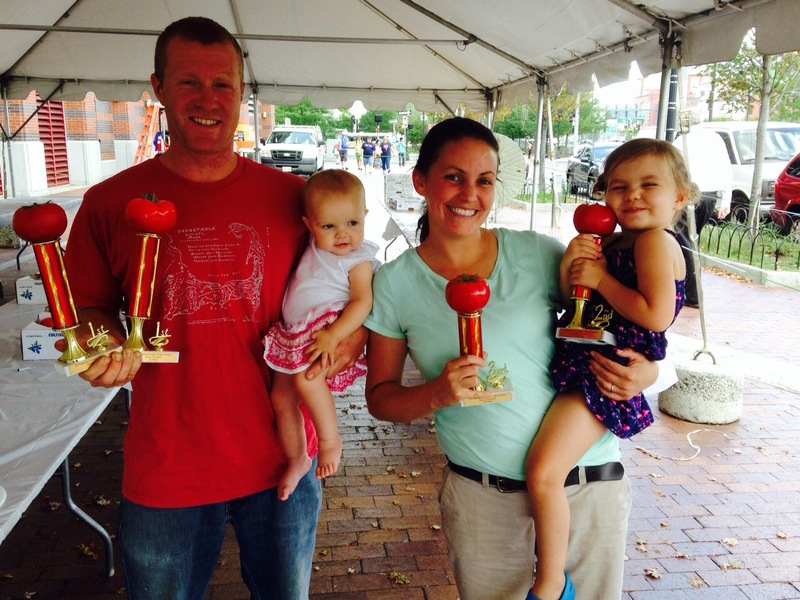 August 18th was the coveted 30th annual Massachusetts Tomato Contest and to say that our farm did well is an understatement. Farmers from around the commonwealth gathered at the Boston Public Market with their finest tomatoes. Tomatoes were judged based on flavor, firmness/slicing quality, and exterior color and shape. Langwater took 4 top prizes and we could not be more excited to be acknowledged for our hard work with our beloved tomatoes. 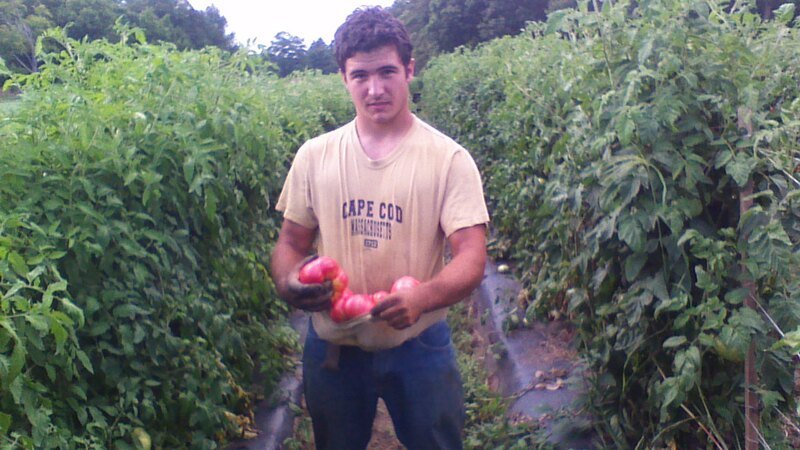 In case we haven’t made it clear, we LOVE our tomatoes here at Langwater. They are certainly one of our favorite crops to grow and sell and this has been a great season for them with perfect conditions- lots of sunshine and dry weather. Every tomato gets handpicked in the field when they are ripe and ready for eating and then goes through a grading process to ensure that every tomato we put on the shelves is up to par. This has been a great year for beautiful heirloom and artisan varieties. Award winning Striped Germans have a beautiful red and yellow shading with a lovely smooth texture. The delightful Pruden’s Purple has a sweet, rich taste similar to a Brandywine. And of course the Speckled Roman is a beautiful mid-sized heirloom with brilliant color and excellent flavor. No matter which variety you choose- heirloom, artisan, red slicing or cherry there’s one thing for sure- nothing beats a farm fresh tomato!